This blog turns 10 years old in January. I'll save the big celebration for when the milestone actually hits, but in the meantime, I've been thinking a little about this medium and what I've learned about it over that span of time. These lessons have been trial-and-error, and others may disagree with me based on their own experiences, but I figured I'd jot down a few things that hopefully may benefit others. Even after so long, I don't consider myself a "social media expert" by any means (partially because I think that title is laughable), but I've figured some things out and wanted to share them. 1. Quality, not quantity. This is easily #1 with a bullet. In the earlier days of the blog, I pretty much stuck every thought I had on here. I ended up posting 3-4 times a week, many of them fairly short and poorly thought out. There were several detriments to this, the first being that I simply wasn't often generating good content. The second was that posts quickly would get pushed down the page, so whatever readership I had would miss the stuff I really wanted them to notice. Nowadays, I spend more time on fewer entries, content to let a single post linger at the top for at least a few days. 2. Find your voice. This may take a while for you to work out for yourself. What are you most passionate about? What do you like to write about the most? What comes most naturally to you? What sort of writing style do you have? These sorts of questions took me years to answer, but I like to think that I at least have a pretty good idea of what this blog is about nowadays. Figure out what works best for you in terms of subject matter and how you engage it. Not only will it help you, but it will help your readers see what you're about as well. 3. Develop a posting plan. Again, in the early days I posted whenever I felt like I had something to say (which was untrue probably about 75% of the time). Content would go up at all hours of the day on whatever day I happened to write it. I've been finding, however, that people seem to be more apt to read and respond on weekdays, so I eventually cut out weekend posting. Then I had a M-W-F routine for a while, but that was really tiring to keep up with and didn't do much for the concerns raised in #1. Nowadays, I just aim for 1-2 posts a week, usually one on Monday or Tuesday and then another Thursday or Friday. A posting plan both will help you focus what you write and keep you writing. 4. You're allowed to violate your posting plan. The caveat to #3 is even though it helps to have a general plan for how often you post something new, you also want to keep it flexible enough to allow for more work on certain entries and for letting ideas develop. If a post is taking longer, then go ahead and wait an extra day to edit it. If you used quite a bit of energy for the long, thoughtful essay you just posted, take a few days to let your writing brain recover. Don't force more content out in the name of The Plan, especially if you really want people to see what you just wrote. Give people time to see it first! 5. Keep your sidebar clean. When I started, I wanted to add as many gadgets to my sidebar as possible. I stuck all sorts of buttons and links and lists over there such that you really had to do some scrolling to get to the end of it. Nowadays, I question just how much is necessary beyond the basics such as past posts, tags, a list of other blogs you like, and networks you're a part of. Some allow for ads, and that's an aspect of blogging I haven't ventured into and can't comment on, but does your sidebar need humorous buttons and polls and other more frivolous stuff? That's a question that each blogger must answer for themselves, but for me less is more. 6. Interact. A blog post is a conversation starter (hence "social media"). If readers find that you're accessible, they may be more apt to keep reading. This has several aspects to it. First, I had someone comment a while back that she wasn't sure about interacting because I was at that time going under an anonymous moniker. After coming to grips with the fact that my blog isn't exactly a secret, I started using my real name, which has actually opened up other writing possibilities as well as helped with perceived accessibility. Did someone leave a comment under a post? Respond to it, if only to thank them for reading it or for visiting the blog. Did someone send you a note through the contact email you provided? If they seem like they're really attempting to engage, try to send something back. Realize that even though this is your blog, your voice isn't the only one that matters. 7. Be intentional about opportunities to expand. This is the sort of thing that comes after you've been doing this for a while. At some point, if you're hoping to build your readership or explore writing opportunities beyond your blog, it helps to search around a little for ways to accomplish that. 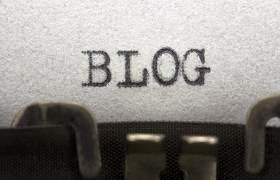 Blog networks are an easier way to do this, as is finding a handful of other blogs to regularly read and interact with. Eventually other possibilities come along as well, such as guest blogging at other places or querying online magazines. But most of the time, these won't fall into your lap. You'll have to do some searching and inquiring on your own. This isn't an exhaustive list by any means, but I think it's a good one to start with. What might you add?